Dam Fence - Products - HAKUSHO Co.,Ltd. To prevent the inflow of waste, driftwood, etc. Is effective in improving the natural environment beautification. 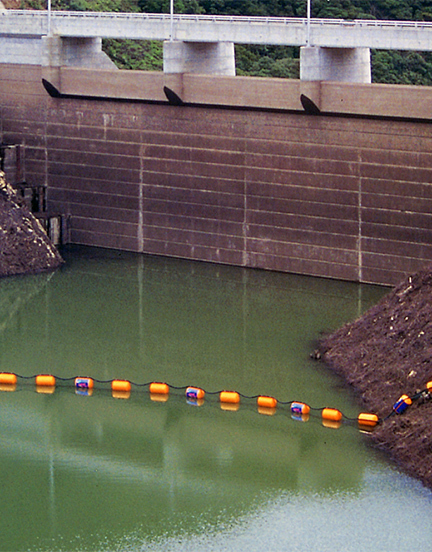 Dam fence is composed of four elements, prevention net, It’s float(to make it floating on the water), Stretched rope to ensure the strength of the entire consolidated net and float, and anchor fixed to the body.